Set of 4 Green Stemmed Flower Napkin Holders. 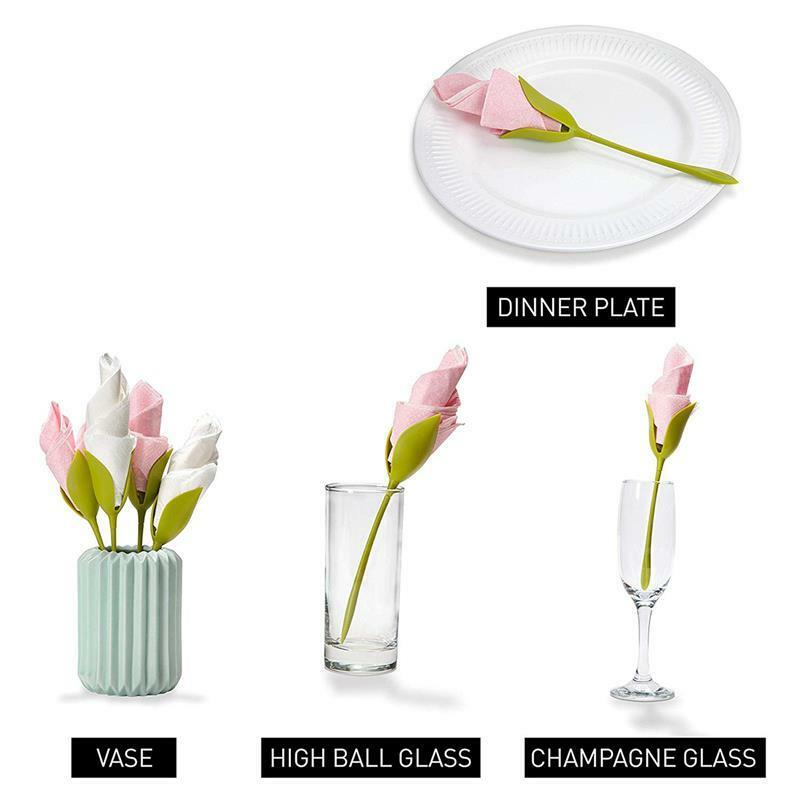 Replace those ordinary Napkin Rings with an innovative and Fresh looking set of Bloom Napkin Holder. Want to surprise your guest with Rose fold? 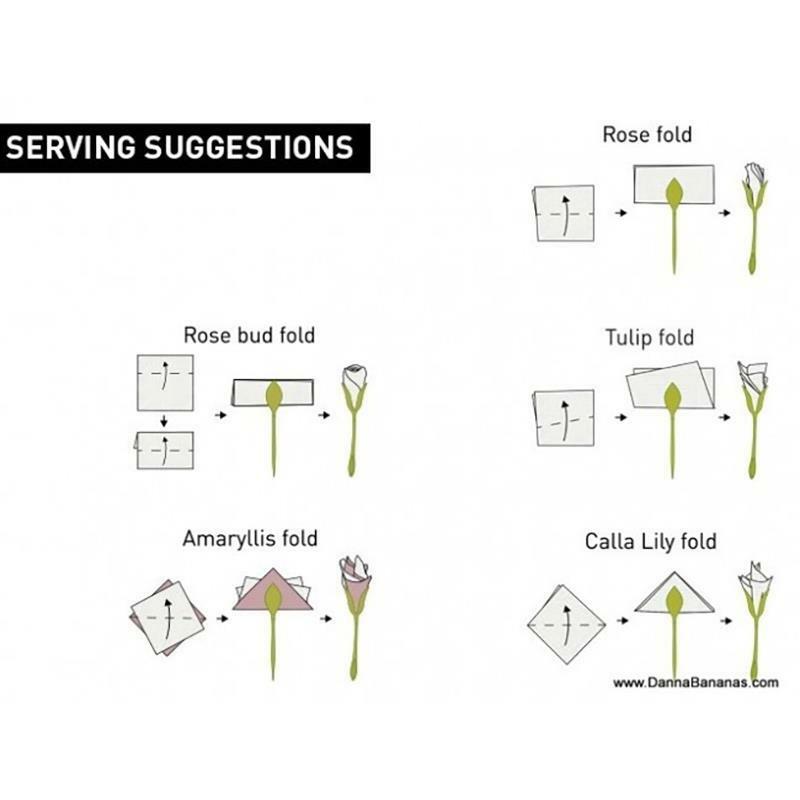 Maybe a Tulip, Calla Lily or Amaryllis fold? 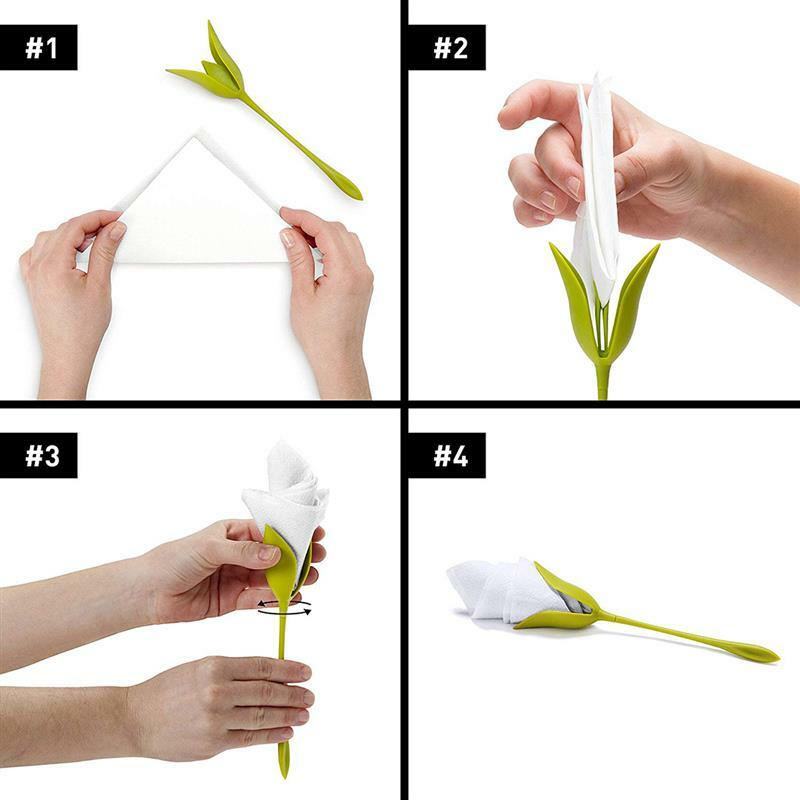 Follow the illustrations inside the package and create flower folding that will amaze your guests.